At Powerwise, we know that breakdowns can happen any time day or night. Therefore, we are here to carry out repairs quickly. Our team of electricians stock a wide range of parts so that repairs can be carried out fast. In addition, we know that any down-time costs you money. Because of this our aim is to have you back up and running as soon as possible. Call us today at 087-2430171 to arrange a rapid call out for an eletrical service/maintenance. Upon consultation we can discuss how regularly electrical service/maintenance is carried out, be it weekly, fortnightly, monthly etc. This will depend on the machines that you have and how often they are used etc. 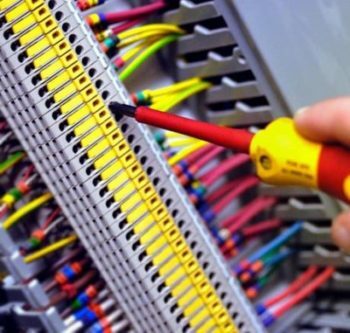 Our team of professional electricians can help you to draw up a maintenance agreement. Periodic Inspections are a vital part of ensuring that the wiring in your home / business is up to standard. Many insurance companies require a valid cert before they will even consider offering to provide you with insurance. Again, we work with all types of industries and can provide reports every 1, 2 or 3 years, depending on your requirements. Should we ever find anything of concern, we will let you know immediately, and can offer a quote on this. 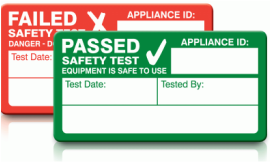 Regular PAT testing is required for various electrical applicances including kettles, fans, computers, powers tools and more. This will make certain that the equipment is safe to use for a period of time. The time you should leave between PAT tests is dependent upon the appliance itself and the environment in which it is being used. Employers and employees are now legally obliged to take reasonable steps to ensure that all electrical equipment is safe to use. As experts in PAT testing throughout North Kildare and South Dublin, we can help you meet your legal requirements in this regard.